Bill Windsor's Bail Bond was 4-times that of Charleston South Carolina mass murderer Dylann Roof. What a horrendous crime in Columbia, South Carolina! 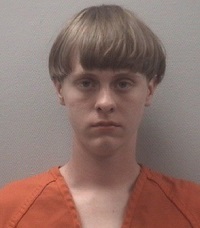 Hopefully, Dylann Storm Roof will be denied bond on the nine murder counts. Bill Windsor's bond reached $4.1 million for allegedly sending a Tweet, sending an email to an attorney, and publishing the name "Sean Boushie" online four times in two legal documents.